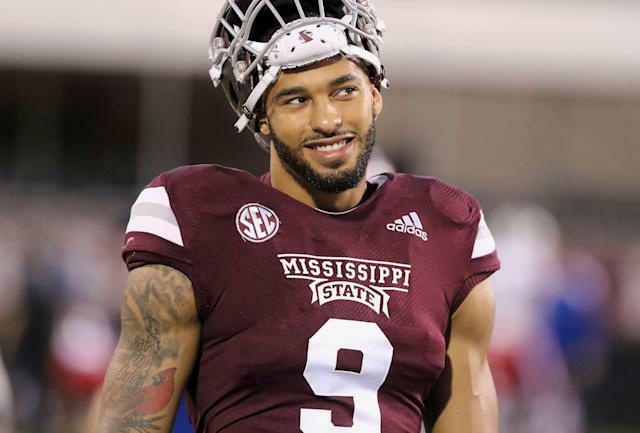 Mississippi State defensive end Montez Sweat has some serious straight-line speed. Sweat set an NFL scouting combine record on Sunday morning when he posted a 4.41-second 40-yard dash. That’s the fastest 40 ever run by a defensive lineman at the combine. He measured in at just under 6-foot-6 and at 260 pounds and that 40 time would have ranked him in the top three of running backs and the top 10 of wide receivers. The previous combine record for a defensive lineman was held by Emmanuel Lawson. He ran a 4.43 in 2006. Sweat unofficially was clocked at 4.42 seconds in his first 40 attempt and it was adjusted by a hundredth of a second when the time was made official. Sweat is projected as a likely early pick in the 2019 NFL draft thanks to his college production and an impressive Senior Bowl. A fast 40 time is going to boost his stock even more despite the fact that defensive ends rarely, if ever, have to run 40 yards at top speed on a football field. The DE had 50 tackles and nine sacks in 2018. He was tied for fourth in the SEC in sacks and also forced a fumble. Sweat’s combine weight was 15 pounds above his listed weight in 2018. That will serve him well in the NFL in the quest to be an every-down defensive end and edge rusher. Sweat wasn’t the only defensive lineman who put up a blazing 40 time for his size. Michigan’s Rashan Gary ran an official 4.58-second 40 at 277 pounds.